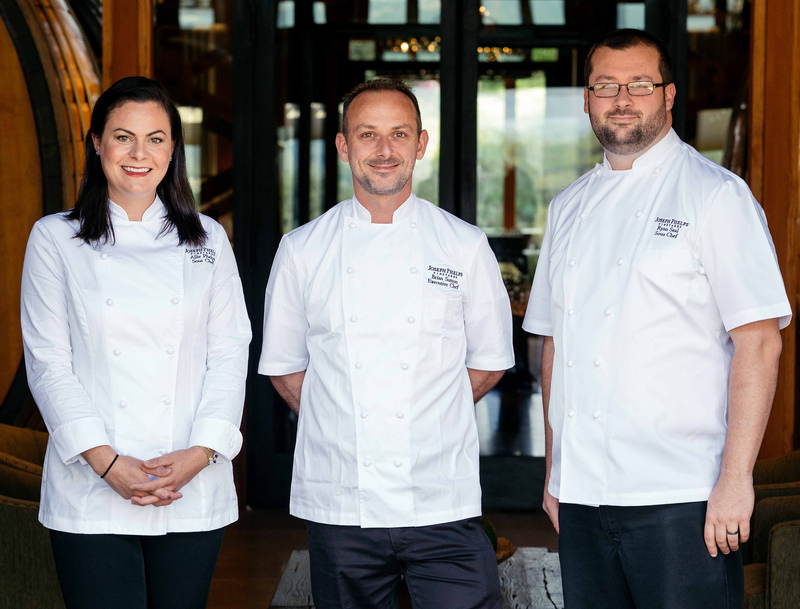 Joseph Phelps Vineyards is pleased to announce the launch of its first culinary program, led by new winery Executive Chef Brian Sutton and Sous Chefs Ryan Seal and Allie Phelps, granddaughter of winery founder, Joe Phelps. 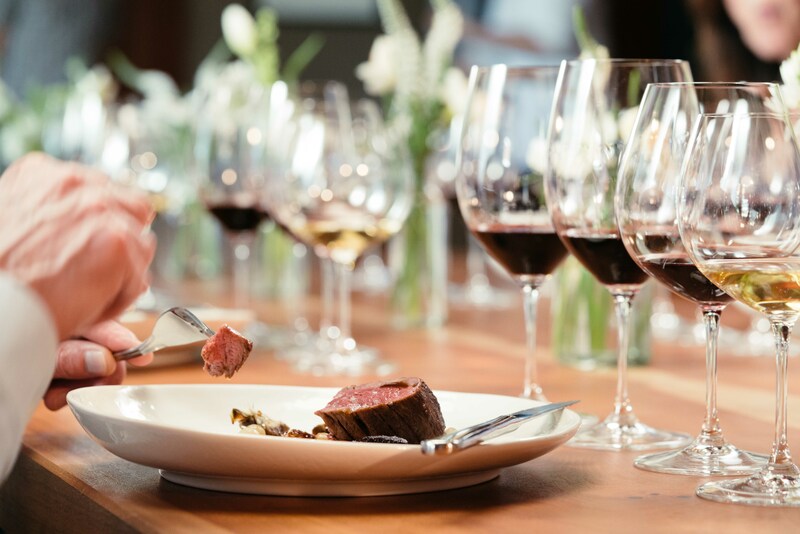 The Joseph Phelps Culinary program offers winery visitors the opportunity to savor seasonal cuisine paired with the latest Joseph Phelps Napa Valley and Sonoma Coast wine releases in a beautifully appointed dining room setting overlooking estate vineyards. The program highlights three separate experiences: Wine & Cheese Pairing explores how local and regional cheeses pair and contrast with Joseph Phelps wines, an interactive food and wine pairing known as Playful Plates, and the ultimate culinary journey, a multi-course Bountiful Table lunch to delight the senses. 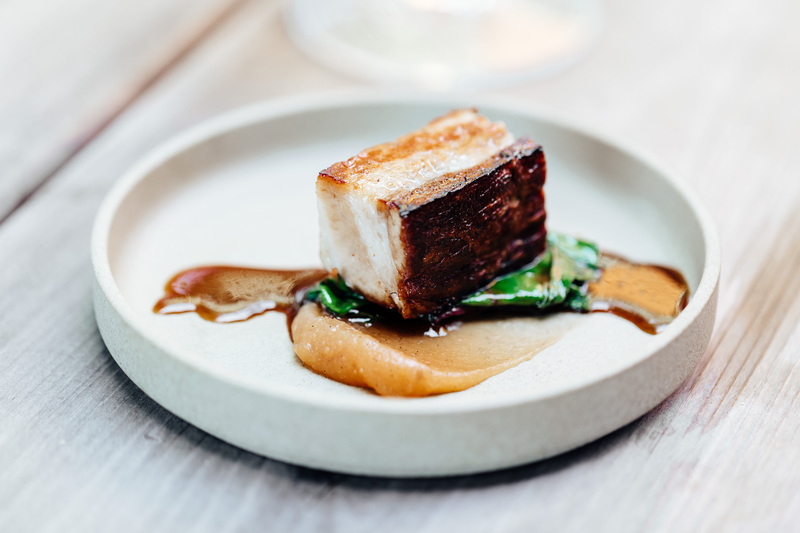 A native of Colchester, England, Brian Sutton is a graduate of the renowned Colchester Institute of Culinary Arts and has an illustrious culinary background that has led him to some of the most celebrated food and wine destinations throughout the world. Most recently, Brian was the Executive Sous Chef at Calistoga Ranch in Napa Valley before joining Joseph Phelps Vineyards in spring 2017. “Knowledge is the greatest gift you can give to another. To be able to share my knowledge of food with exceptional wines is the ultimate gift," stated Sutton. Sutton is joined in the kitchen by Sous Chefs Ryan Seal and Allie Phelps. Ryan Seal is a graduate of the Culinary Institute of America at Greystone and came to Joseph Phelps Vineyards in the summer of 2017 following positions at Morimoto Napa as well as Carneros Resort and Calistoga Ranch. Allie Phelps, granddaughter of Joe Phelps, is the third member of her generation to work for the family wine business. Allie joined Joseph Phelps in the summer of 2016 as a Wine Educator following a decade of living in San Francisco, CA where she earned a Culinary Arts degree from the Art Institute of San Francisco, worked as an event planner and taught cooking classes at Cavallo Point. Allie moved more fully into the kitchen in spring 2017 to help launch the winery’s culinary program. “Joe Phelps lived life to the fullest. He gathered family and friends in his home over great wine and food that he had prepared for everyone to share. Our family is pleased to welcome winery guests in that same spirit,” said Bill Phelps, Executive Chairman of Joseph Phelps Vineyards. Wine & Cheese Pairing: Learn how food and wine interact with one another and discover your own pairing preferences. 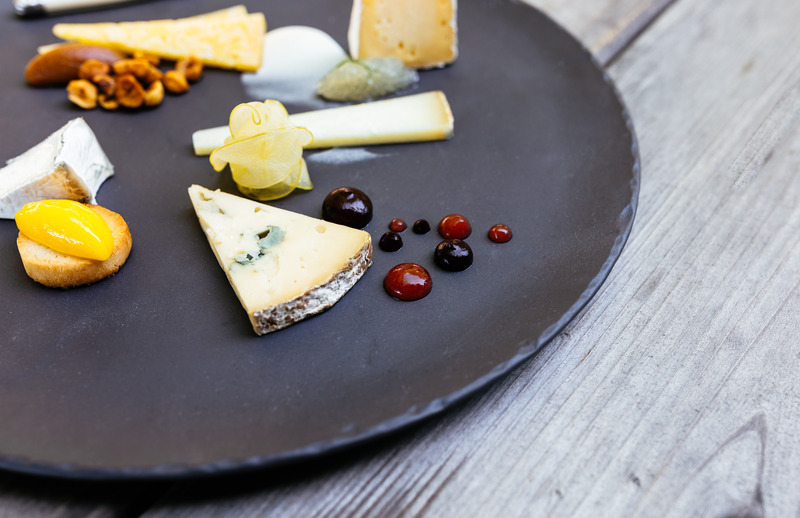 Join us for a guided wine tasting and pairing of local and regional cheeses along with house-made delicacies during this fun and educational experience. $100 per person. This is a semi-private seated tasting that lasts 90 minutes and is offered on Friday, Saturday and Sunday of each week at 11:00 a.m. and 2:00 p.m. Playful Plates: Join us for a unique interactive food and wine pairing experience. Guests will enjoy a flight of five Joseph Phelps Napa Valley and Sonoma Coast wines, including Insignia, paired with seasonally inspired bites that contrast and complement our wines. A dedicated Wine Educator will lead guests through the tasting, inviting each person to share their individual experience in relaxed convivial conversation. Please allow two hours to enjoy this experience. $195 per person. This semi-private seated event is offered each Tuesday at 11:00 a.m. and 2:00 p.m.
Bountiful Table: Savor the bounty of our region through a wine and food journey. Join us in our picturesque dining room for a multi-course lunch featuring seasonal ingredients paired with the extraordinary wines of Joseph Phelps Vineyards. Begin your visit with passed canapés on our Redwood Terrace overlooking estate vineyards, followed by an unforgettable lunch to delight your senses. Each course will be thoughtfully paired with Joseph Phelps Napa Valley and Sonoma Coast wines, including the latest vintage of Insignia. Please allow 3 hours for this lunch. $275 per person. Bountiful Table lunches are offered each Wednesday at 11:30 a.m.
Further details and Culinary reservation requests are available through the winery’s http://www.josephphelps.com/pages/culinary or by calling 800-707-5789. Joseph Phelps Vineyards is a family-owned winery committed to crafting world class, estate-grown wines. Founded in 1973 when Joe Phelps purchased a former cattle ranch near St. Helena, the winery now controls and farms 390 acres of vines in Napa Valley on eight estate vineyards in St. Helena, the Stags Leap District, Oakville, Rutherford, Oak Knoll District, Carneros and South Napa. In pursuit of an ideal location to grow Pinot Noir and Chardonnay, in 1999 the Phelps family purchased land near the town of Freestone on the western Sonoma Coast, planted 100 acres of vineyards, and built a dedicated winery. 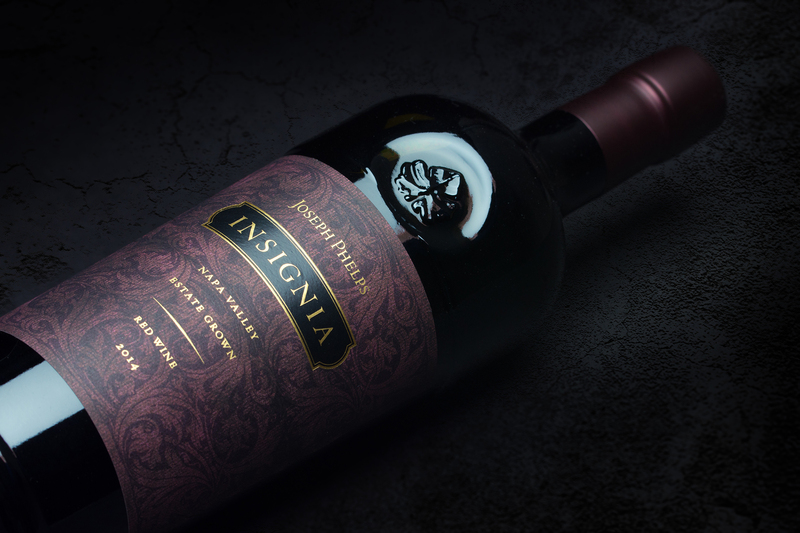 Phelps is best known for its flagship wine, Insignia, a Napa Valley blend of red Bordeaux varieties first produced in 1974. The winery offers a variety of tasting experiences seven days a week by prior appointment. More information can be found at http://www.josephphelps.com. A native of Colchester, England, Brian Sutton worked at a local pub from an early age before he enrolled in the Hospitality Program at the renowned Colchester Institute of Culinary Arts, choosing to spend an extra year in the Pastry Department to further round out his expertise. Upon graduation, Brian was recruited to work at the Keswick Hall resort in Charlottesville, Virginia. This appointment was followed by positions in France and Switzerland to further refine his culinary skills. Brian returned to the United States to join The Point Resort, a Forbes Five Star, Relais & Chateaux property in New York, achieving the rank of Sous Chef. Since then, he has continually built his repertoire working at premier restaurants with notable chefs. 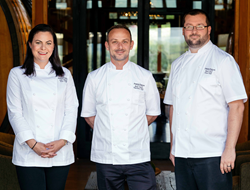 Most recently, Brian was the Executive Sous Chef at Calistoga Ranch, an Auberge Resort in Napa Valley, before accepted the Executive Chef position at Joseph Phelps Vineyards in spring 2017 to launch the winery’s first culinary program. Granddaughter of winery founder Joe Phelps and daughter of winery Executive Chairman Bill Phelps, Allie Phelps is the third member of her generation to join the family wine business. Allie grew up in Napa Valley surrounded by people passionate about food and entertaining. Following graduation from Vanderbilt University, Allie spent ten years living in San Francisco where she earned a Culinary Arts degree from the Art Institute of San Francisco, worked as an event planner for a luxury special events company and taught cooking classes for curious home chefs at Cavallo Point. In 2016, Allie joined Joseph Phelps Vineyards and assisted in the development of an expanded educational wine and food program. Today, she is enthusiastic about honoring her grandfather’s love for food and wine as Sous Chef for the winery’s new culinary program. Born in Los Angeles and raised in Sacramento, CA, Ryan Seal is passionate about fine dining. Through the combination of local and international ingredients and techniques, he strives to create an amazing guest experience. A graduate of the Culinary Institute of America at Greystone, Ryan has worked in the kitchens of noted restaurants Morimoto in Napa Valley, SPQR in San Francisco, as well as the Four Seasons Resort at Westlake Village. Most recently he worked as Banquet Chef at the Carneros Resort as well as Calistoga Ranch, an Auberge Resort in Napa Valley, before joining Joseph Phelps Vineyards as Sous Chef in the summer of 2017 to help launch the winery’s new culinary program.